The Circle of Life here means 2-D animated to CGI animated. 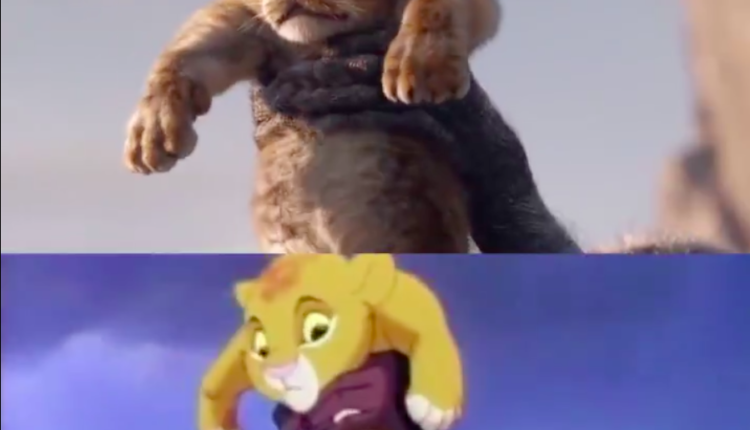 Last night, as we were all digesting our incredible Thanksgiving meals, Disney surprised us with the trailer to its latest animated to live action (or in this case, CGI pretending to be live action) adaptation of The Lion King, only a few weeks after the revelation of the similar adaptation of Tim Burton’s Dumbo. This Lion King trailer has been getting a lot of hype due to both Childish Gambino/Donald Glover and Beyoncé Carter-Knowles being in the movie as Simba and Nala, respectively, but now that the entire trailer is here, what do people think? Well, for one, they think the adaptation is shockingly loyal. 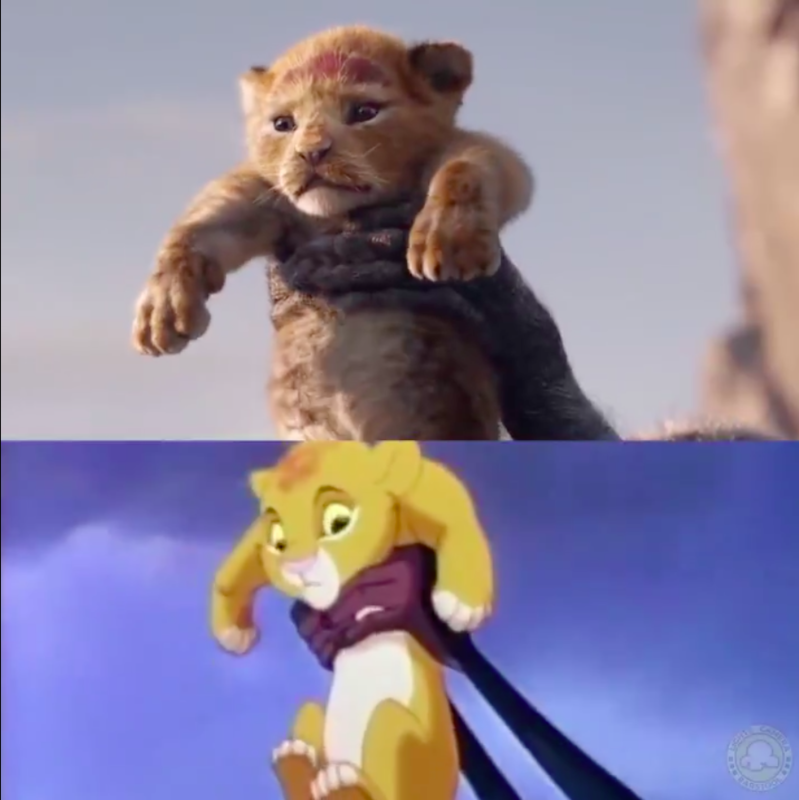 A Twitter account called @lightscamerapod posted a video comparing the new live action trailer to the original, which showcases the Circle of Life sequence. The results are… well, they’re shockingly consistent. Every shot in the live action trailer seems to have an animated movie counterpart. Maybe this is to inspire feelings of nostalgia, but in me it just makes me want to watch the original Lion King again! I mean, look how much more expressive the 1994 animated version is against this weird one that tries to make it seem like the characters are real. They’re both animated, one is just a lot more fun to look at. Well, let’s all go to theaters next year and find out if anyone wants to see this. Little kids will, but then they’ll see the original version and wonder if their generation got all the garbage entertainment then go back to worshipping criminal Instagrammers. Lion King remake! You are driving our kids into delinquency! What do you think of the new Lion King trailer? Do you like it? Are you excited that they are trying to trick you into thinking Simba is real? Let us know in the comments or on Twitter at @WhatsTrending.